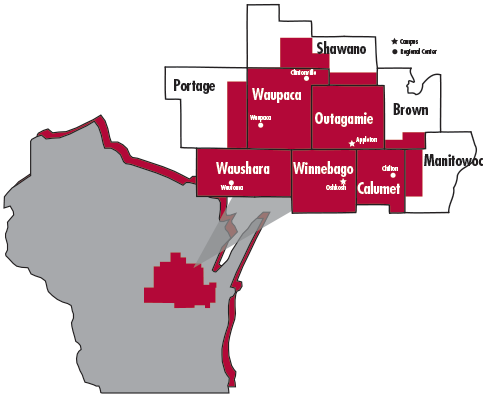 The FVTC district is served by two main campus locations in Appleton and Oshkosh and several regional centers. Please call for building hours. 110 W. North Water St.
Additional hours scheduled to meet instructional needs. Hours subject to change during break periods. Tuesday: 1 p.m.-3 p.m. | 4 p.m.-6 p.m.
Thursday: 1 p.m.-3 p.m. | 4 p.m.-6 p.m.